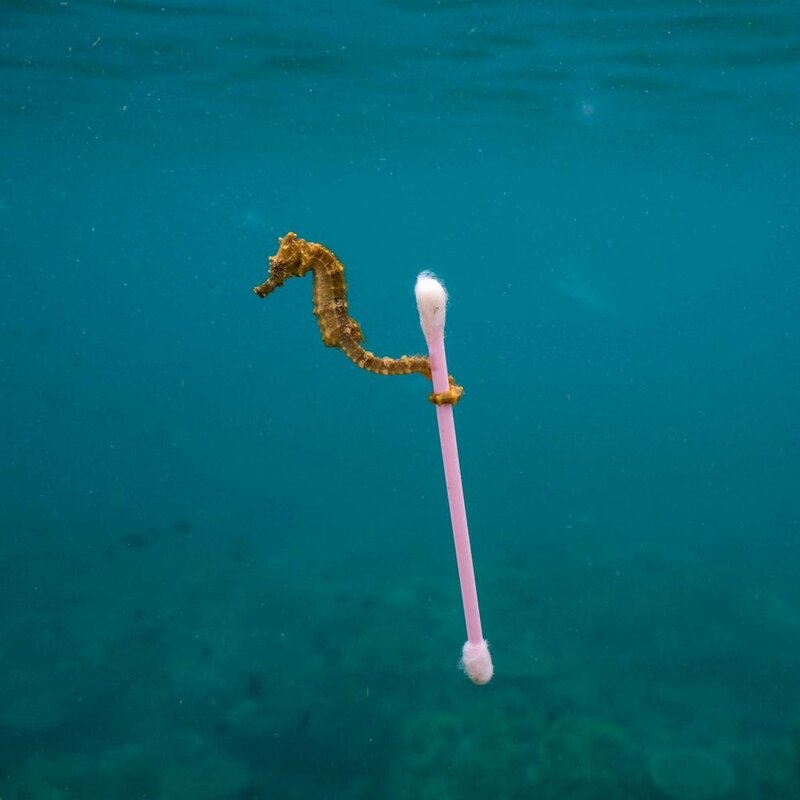 So what does a cute seahorse carrying a cotton bud have to do with weddings, you might ask?! Everything. You might have seen this photo before. Or watched wide-eyed as Blue Planet drew our attention to the enormous issue of plastics polluting our oceans. Or heard that “Plastic” is the children’s word of the year, as evidenced by submissions to Radio 2’s 500 words competition. Or become aware of discussions in the news about our responsibilities to reduce plastic, focusing initially on single use plastic. If not, perhaps you’ve got a couple of cotton buds clogging up your ears! But seriously, how we use plastic HAS to change. So let’s think about how your wedding can be a little bit more environmentally friendly. 1. Choose biodegradable confetti. Unless you have a friend or relative clever enough to dry you some flowers like our bride below, The Real Petal Company can supply you with beautiful dried petal confetti. We had it at our wedding and it is so so pretty! I visited their flower fields in Pershore a few weeks ago to swoon at their blooms. 2. Give favours that help nourish the world rather than spoil it with non-biodegradable materials. These recycled seed packets from Wildflower Favours, with the slogan “Bee happy!” will remind your guests of your wedding day when the flowers grow AND attract bees to your garden/window box. Other ideas include making a donation to charity with the budget you have for your favours and displaying this on the table, giving edible gifts (in sustainable packaging), or gifting plants such as succulents. 3. Consider hiring crockery, cutlery and glasses (if your’e not at a venue that supplies them) to avoid single use plastic. Room Forty in Warrington offer stunning vintage China so your guests can sup their prosecco from dainty cups and saucers! 4. Eco-friendly stationery options have become increasingly popular over recent years. You can opt for recycled paper for your invites, vegetable based ink, other sustainable materials (e.g. cotton or bamboo). The Natural Wedding Company has some beautiful designs that are made with a conscience. You can even get stationery that contains seeds so your guests can plant them once the big day has passed and it’s time to take the invite down from the fridge! Check out Botanical Paperworks to start “sowing the seeds of love”. Going paperless with online invites is also an environmentally friendly option. 5. Think about your gift list. Many gift list websites allow you to select items from multiple suppliers so if you wanted your guests to treat you to eco-conscious gifts you can tailor make it. Check out this story on www.brides.com for environmentally friendly gift list ideas. 6. Choose a photographer who will supply you with unlimited access to all your images digitally so you can share as you like and don’t feel the need to print off the lot (we of course offer this 😉 and strive to be ethical in other areas of our business as well). 8. Go for a green wedding dress. Not literally! Or maybe literally… if you want to really rock the environmental vibe! Recycling, hiring, wearing your mum’s dress, these are all great options for keeping your dress low impact. 9. Buy conflict free engagement and wedding rings. For more information on this read: The Kimberley Process FAQs . Rings that are bought fair trade or from antiques shops are often safe bets. 10. Opt for seasonal and locally produced food for the wedding breakfast and evening supper, if you’re having one. This often means less/no plastic and it will support the local community. You can either do this yourself or find a caterer who is happy to use farm shops to source their ingredients. Get imaginative. Get creative. Get green. 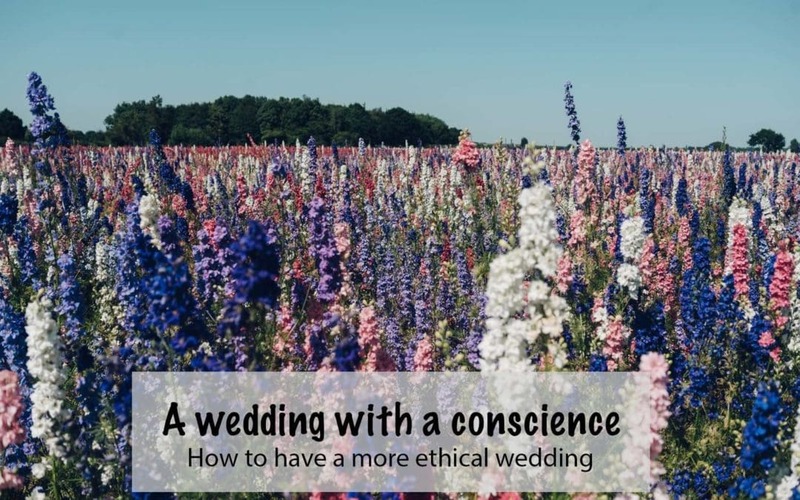 Planning a more ethical wedding? Pin this post and save it for later. Why autumn and winter family shoots are amazing! Wendy on To print or not to print.